As a bilingual correspondent for NBC News, Fusion TV, and Univision, Mariana holds a unique perspective-having immigrated from Venezuela to America as a young adult, having overcome challenges to graduate from Columbia University and eventually become a national news correspondent, and having seen firsthand the humanity that is ever so present in the midst of both adversity and opportunity. Mariana's story is the powerful, inspiring story of life in the United States as an immigrant. Yet it is at its core a human story. It is all of our stories, and it is a call to every man, woman, and child to unlock the magic of their potential and begin to thrive. 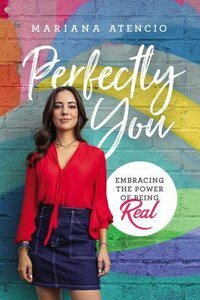 About "Perfectly You: Embracing the Power of Being You"